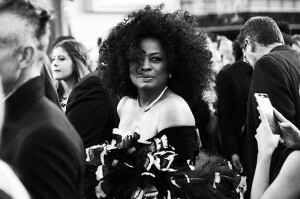 Police say Diana Ross was injured when an SUV ran a stop sign and crashed into a limo taking her to a performance in Pennsylvania. Bethlehem police say the 72-year-old singer complained of head and neck pain after the crash on Wednesday afternoon. She was treated at the scene by paramedics and indicated she would seek further treatment on her own. No one else was hurt. The Lincoln Town Car she was in was towed.